Just another day of holidays, but with coughs and flu looming, we didn’t go skiing. Instead, my sons and I (all of us great readers) had to return some books to the library and passed by the only two bookshops in the area. The first one is a standard bookshop, which is a resurrected version of the previous bookshop which had gone bankrupt and was rescued by an association of book lovers. We stopped there to collect a book we had ordered, one that my older son needed for his French classes: a junior edition of the medieval collection of animal stories/fables ‘Le roman de renart’ (roughly translated as: The Novel of the Fox). Then we passed by the other bookshop, which specialises in BD (bandes dessinées – graphic novels and comic books), where I had acquired my original Max Cabanes adaptation of Manchette’s novel Fatale. I had chatted with Cabanes in Lyon and he told me he was redoing and continuing another Manchette adaptation, so I couldn’t resist asking if they had his latest. They did, so I acquired that – it’s a visual delight, as well as being based upon one of my favourite French noir authors. While Younger Son was reading another BD cover to cover, Older Son asked me to buy the latest in the series ‘Seuls’, a Franco-Belgian children’s fantasy thriller about children having to cope alone in a world without adults. (Later on we discover the children are all dead.) Twice a winner in the youth category at Angouleme Festival, and winner of the Grand Prize of the Mickey Mouse Journal. The well-intentioned bookseller advised me to read these comic books with my boys, to make sure that they wouldn’t get scared. Then, when my eldest scoffed, claiming proudly that he was a teenager now and not easily scared, we received a zombie poster for him to put up on his wall, as well as a magazine with extracts from all the latest releases. And that is why we love going into real bookshops: we spent a happy morning browsing, discovering new things, making mental notes about what to buy next time, and feeling the love of books and the personalised service of the booksellers. We never leave empty-handed. The library run also ended with 6 books: 4 BD for the boys (fun holiday reading, as they also have a bit of a TBR pile at home) and 2 books I wasn’t intending to get… secret TBR Triple Dog Dare and all that… Fred Vargas’ Temps Glaciaires (the latest Adamsberg mystery, published in 2015) and Emmanuel Carrere’s D’autres vies que la mienne (Lives Other Than My Own) – which is a story about grief and loss, but also a kind of memoir of how a narcissist became a more empathetic human being. 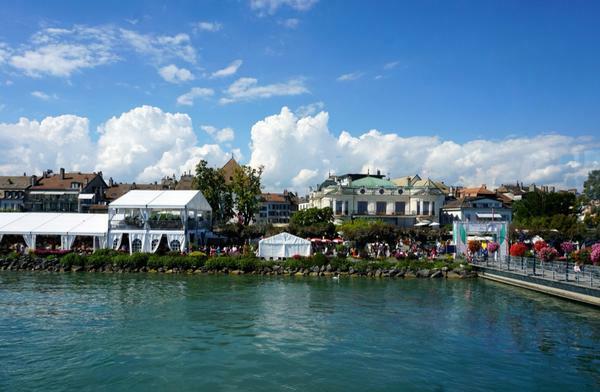 Last year I waxed lyrical about the great atmosphere of this book festival for readers and authors in Morges, on the banks of the bonny Lac Léman. This year it’s taking place between the 5th and 7th of September and I’ll be heading there again for what promises to be a great line-up and a chance to enjoy the last days of summer in congenial surroundings. 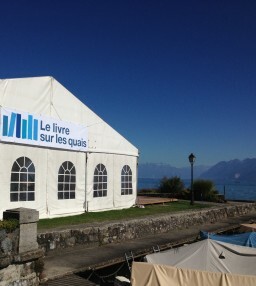 There is a giant book tent where you get a chance to buy books and get them signed by your favourite authors, as well as a number of panel discussions or Q&A sessions with authors. 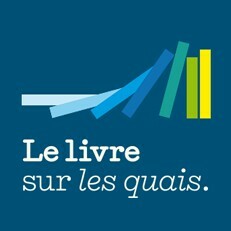 This year too, you’ll find the usual suspects of Swiss and French-speaking writers, including old favourites of mine (or those I look forward to reading), such as: Metin Arditi, Joseph Incardona, Yasmina Khadra, Martin Suter, Alex Capus, Emilie de Turckheim, Tatiana de Rosnay, Alain Mabanckou, Timothée de Fombelle. From website of the festival. They will be joined by a diverse bunch of writers who also speak English (not all of them write in English): Esther Freud, Jonathan Coe, Louis de Bernières, Helen Dunmore, Amanda Hodginskon, Jenny Colgan, Tessa Hadley, Elif Shafak from Turkey, Petina Gappah from Zimbabwe, Gabriel Gbadamosi from Nigeria, Frank Westerman from the Netherlands, Paul Lynch (the Irish writer rather than the Canadian filmmaker). Also present: several members of the Geneva Writers’ Group who’ve had new books out recently, writers I’m proud to also call my friends, such as Michelle Bailat-Jones, Susan Tiberghien, Patti Marxsen. 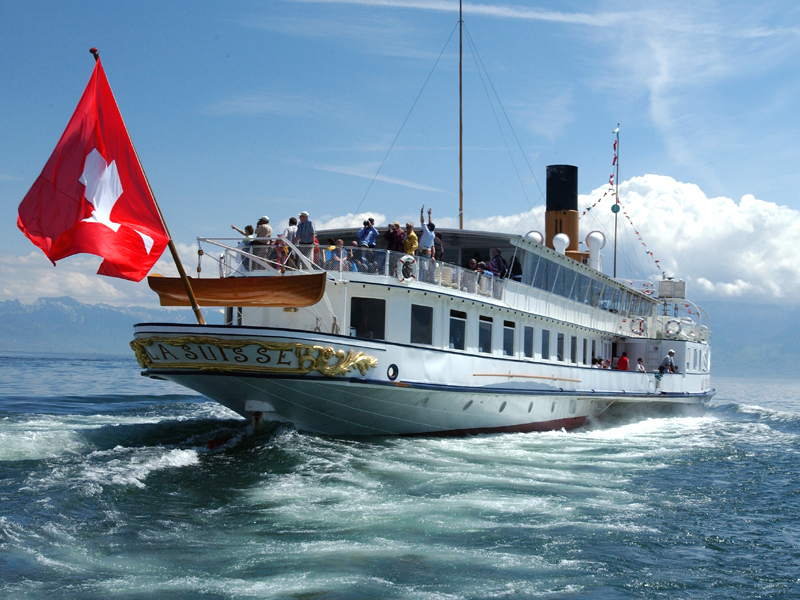 The Geneva Writers’ Group will also be hosting a breakfast on the boat from Geneva to Nyon to Morges, a wonderful opportunity for readings and Q&A sessions with some of our authors. Ersi Sotiropoulos: an experimental, avant-garde writer, whose novel about four young Athenians musing about their future, Zig-Zag through the Bitter Orange Trees, has been translated into English. She is currently working on ‘Plato in New York’, described as a hybrid of a novel that uses fictional narrative, dialogue, and visual poetry. I’ve been following Jacqui’s recent deep-digging into her TBR pile with interest. Her latest blog post, reflecting on the experience of her #TBR20 challenge, was particularly enticing. Writer Eva Stalker launched the idea, and some of my blogging friends, such as Emma and Max, have also been persuaded to join in. So I plan to follow suit, while allowing some wriggle room for those inevitable review copies. The principle is very simple. With so many books double and triple stacked on my shelves (not to mention stashed away on my e-reader), I really need to stop collecting and start reading some of them. So I plan to reduce the pile by at least 20, for however long it takes, and during this period I will refrain from buying any new books (other than those I am sent for urgent reviewing purposes). You are probably laughing, remembering how disastrous my TBR Double Dare challenge ended up… But this feels more manageable – or perhaps it’s just the right time of year to be doing it. I do have an initial list of 20 in mind, but will allow myself to be open to the fickleness of moods and interests. I also want to incorporate a good selection of ebooks and real books, French and German books, poetry and non-fiction, crime and translated fiction etc. My Global Reading Challenge seems to be suffering a little here, so I may have to make some changes. I will probably need to do a serious cull of my ebooks at some point in addition to this. All about the challenges and disappointments of everyday life in modern France – quite a contrast to the more luscious depiction of France in fiction written by foreigners. Ever Yours – The Letters of Vincent van Gogh – one of my favourite painters, need I say more? Have you read any of these? Are there any you would particularly recommend starting with, or should I swap some over for something else? (They do strike me, on the whole, as a rather sombre pile of books). The other idea that Jacqui planted into my head was to have a bit of a rereading challenge. I carry my favourite books with me in every place I’ve ever lived in and I look up certain pages, but I never get a chance anymore to reread them properly. (Where, oh where are the days when I used to reread all of the novels of Virginia Woolf and Jane Austen every year or two?) So who would like to join me and Jacqui on a #reread challenge? Perhaps of 6 books in a year, roughly one every 2 months? Would that be feasible? Here are some instant favourites that spring to mind: F. Scott Fitzgerald’s ‘Tender Is the Night’; Virginia Woolf’s ‘Between the Acts’ (her last novel); Jean Rhys’ ‘After Leaving Mr Mackenzie’; Muriel Spark’s ‘Loitering with Intent’ and Tillie Olsen’s brilliant collection of essays about life getting in the way of creating ‘Silences’. What would you reread, if you could and would?